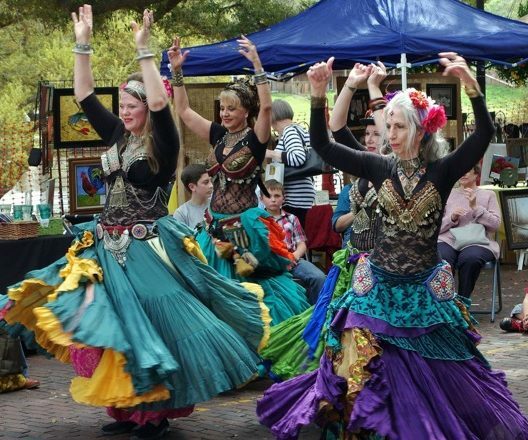 Indigeaux, Natchitoches’ own belly dance troupe, will perform Saturday, March 23 at Art Along the Bricks in downtown Natchitoches. Their performance will be at 2 p.m. and will be on the bricks in front of the Natchitoches Art Gallery. The show will be 30 minutes, with some new dances included, as well as the audience participation segment at the end. Indigeaux has been together for over six years and performs at various events around the state. Their style is tribal fusion, which is a blend of all types of bellydance. Indigeaux is known for its use of non-traditional music and dance combinations.